“If you do this long enough, it is going to happen again” consoled John, one of the shooters at our league competition, referring to my misfire. The misfire, my very last shot of a disappointing night. I began the night aiming for a score of 300; on my second shot I hit blue. * Three hundred was not going to happen. As I prepared for my last shot of the evening the best I could score would be 294. The very last arrow was notched. Raising my arms, drawing back, eyes on the target, milliseconds from anchoring, my arrow flew away. My final end, X, X, X, 9, 0. There is no concealing a shot that misses in such roguish glory. My arrow, at the end of my lane, defiantly smacking into the backstop feet above the mark. There is nothing to add, no worthy excuse, this is not a near miss. This is that shot that had it flown into lights knocking them out could not have been less noticed. No one on the line or in the room missed the miss. When you put it on the line, there is nowhere to hide. Next week, don’t focus on the score, focus on the shot. * Using the NFAA 5-spot target. This league adjusts the scoring to expedite the evening. White = 10, blue = 9. Six ends rather than 12. Crowfoot Rod and Gun, setting up targets. On March 1st, Pennsylvania held, in part, its Indoor State Championship (FITA). I found the event on the USA Archery website and signed up. I considered the location a stroke of luck because I had lived in the small town of Murrysville, where the tournament was held in, 10 years earlier. My family and I had lived on Scenic Drive in Murrysville for four years and had come to love the special type of people that Pittsburgh cultivates. The people of are warm, welcoming, and can repair anything from a hot water heater to a fuel injector with whatever they have on hand, an industrious group. The crowd at the competition proved no different. 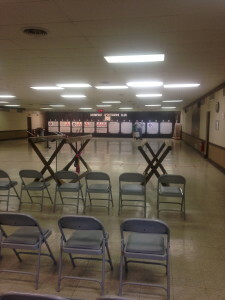 The tournament was held at Crowfoot Rod & Gun Club 2.39 miles from my former home. What is more the Club, on Crowfoot Road, lays on one of the cycling training circuits I’d ridden hundreds of times. The road was part of the Murrysville Classic Bicycle Race in which I’d competed as a cyclist. The range is 1.42 miles from two of our dearest friends, Chuck and Glori. Chuck, a physician, teacher and bona fide genius, was my cycling training partner and research colleague. During the trip, I got to visit my daughter, son-in-law, grandchildren and good friends. It was a great couple of days. 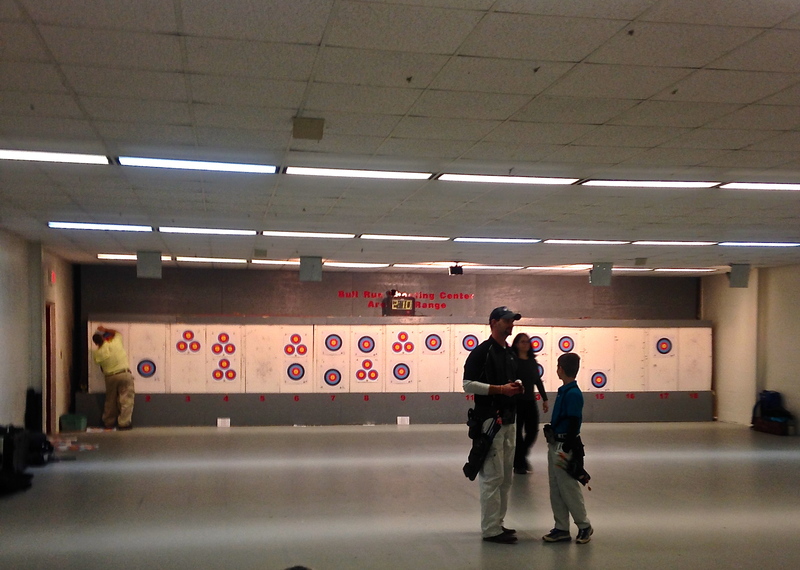 Visiting friends and family while shooting in an archery tournament is hard to beat. Murrysville has expanded since we lived there. Still, the roads with their climbs called out for a bike. Murrysville has some of the best training roads for cycling I have ever encountered. These roads wind along some of the most amazing scenery in Pennsylvania. On long training rides I stop, call home, and tell Brenda, my wife, she has to drive out and look over the view. This trip, however, I was in Murrysville for another reason. The archery range was wide, well illuminated, and had ample room for spectators. Typically, the folks in and around Pittsburgh are extremely open friendly. Before I had left I had new friends, Terry, Steve and Chris. Terry, a seventy plus year old who had been practicing archery for over 60 years. Steve and Chris are a father and son enjoying a boys day out at the range. Within a few ends I felt as if I’d known them for years. The officials were funny, friendly, all smiles and made me very comfortable. That day, I shot a personal best. All together a great experience with one exception; I left my quiver at the range. I didn’t even know I’d forgotten it until, on Sunday, I got a call from one of the officials informing me and offering to ship it to me. 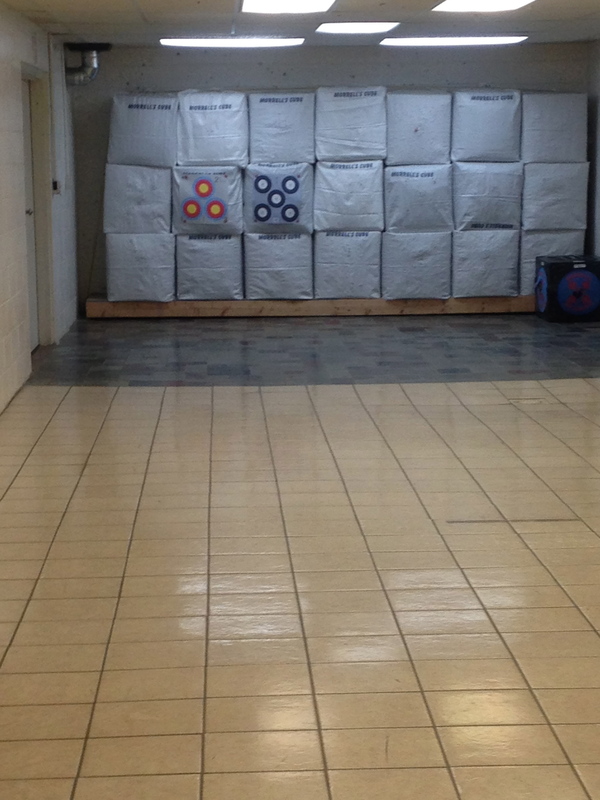 Archery Lesson 2: Remember everything you bring to the range and don’t leave it there. Elevation versus windage are two dials not to physically reverse. In other words, don’t mistakenly dial windage when you intend to dial elevation. This was a lesson I learned first hand. 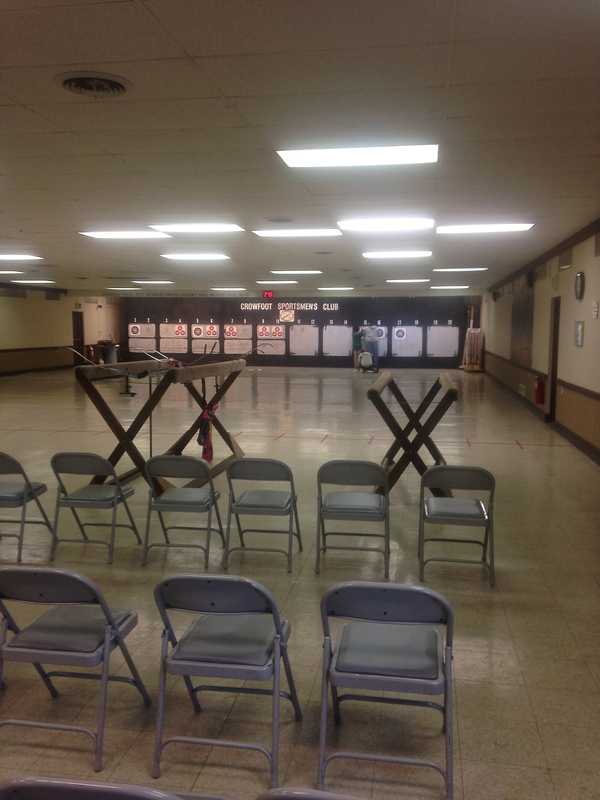 Tonight we shoot at Cypress Creek Archery. This is the third week of an indoor league. Last week, 295 and ten X’s. Shot with my ZXT (for the first time in competition). My Apex 7 was getting a new XFire String on March 11th. 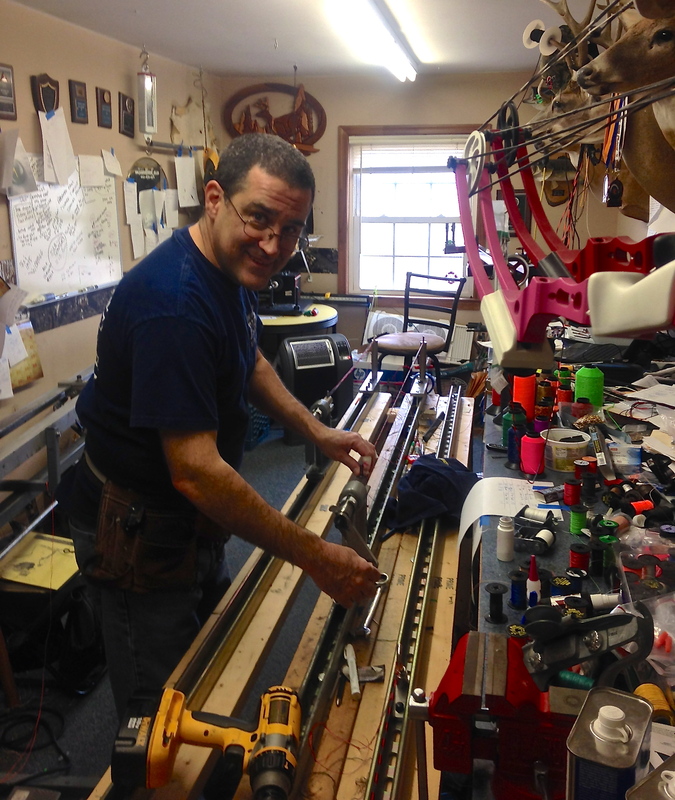 Picked up my bow from XFire Strings in Denton, MD. Bart Shortall, champion archer, outdoor writer and master string builder spent several hours with me putting the final touches to my new bow string. A “Paper Test” revealed a perfect cut. 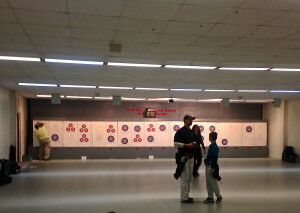 Shooting in an archery competition, well that should be easy. 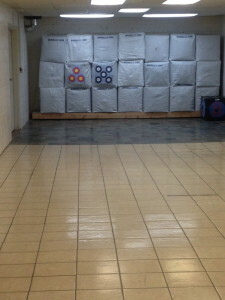 During practice, shooting for a maximum of 300, I had an average of 293 with a range of 278 to 298. Shooting is a calm sport, so I thought. When I compare it to racing a kilometer on a Velodrome, competing in an Ironman, or running marathon archery was going to be a breeze. As I took my place in my “box” on the line, there is no sweat from my warm up. There is no wetsuit squeezing me (and my bladder), no worry about getting kicked, pushed, crashing my bike, breaking a bone, or in some manner ending up in an emergency room. I felt confident, relaxed, easy and somewhat certain in my preparation. The folks around me were not shaped like my frequent competition. For the most part they are not the lean whippet shapes of triathlon, marathons, and cycling event. Strikingly, archery is a quiet. Triathlons are not quiet. Marathons are not quiet. Prior to these races there are loud bands, someone blasting over a PA system. Friends and family are laughing, yelling, ringing bells, and blowing horns. Archers are quiet. Archery spectators speak low and whisper. I began to get nervous and there was no outlet. My final score: 270. I could not get away from that range fast enough. I’d been smacked hard. There was a lot to learn. I was quiet.